Welcome back to another fun week of sharing your links as well as visiting other links for inspiration! Thank you for all of the get well wishes. This upper respiratory crud has really hit us hard! Going into week two and we are all still hacking away. Luckily, we had a snowstorm over the weekend so, we had the perfect excuse to just plant our behinds on the couches and sleep when we needed. I would say that I am at about 90% of my usual perky self. Here's hoping that continues to rise as the week progresses. Congested or not, I still wanna party so, let's get this one started! We had a tie for most viewed last week! 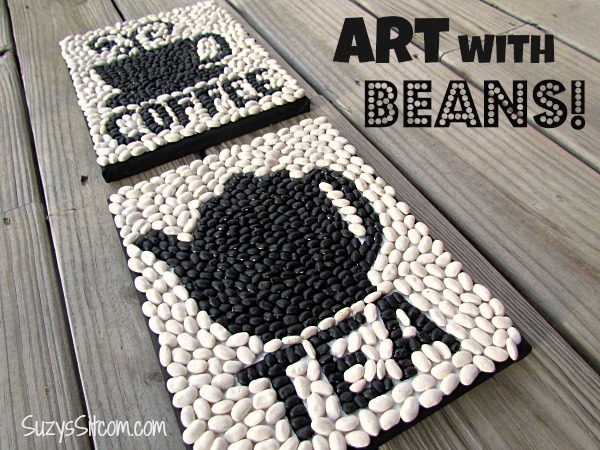 First up, Suzy showed us some pretty cool art using beans! I am totally going to give this a try to make some art for my craft room! Next, Heather worked some incredible magic to bring this vintage chair back to life. Swoon worthy I'm telling you!! My pick of the week comes via Patricia. Patricia formerly hailed from New York but, now lives in Colorado! We hope to meet up soon one of these days! Anywho, Patricia took us on a tour of the Morgan Library & Museum. After seeing the photos, I so want to go here! I could leave Mr. B in the library while I wander through the museum. Win-win! 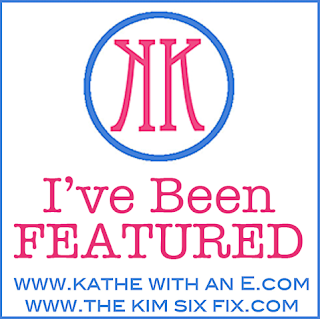 If you have been featured here, or over at my crazy talented co-hort Kim's blog, (she has a different Pick of the Week so go check it out...was it you?) make sure to grab an I've Been Featured button here. Feel free to link up anything you have created. Recipes, decor, crafts, written or photographed. Anything you are so proud of you just gotta share it with others. We would love it if you would link back in some way so that others come and party with us. Either grab the the party button or add my blog link to your blog party page. Again, it is not a requirement. Thanks for the party Kathe ! I find colds and viruses last forever lately - they're not the same " strain " they used to be that's for sure! Hope you're on the tail end of it now ! Wow! Thank you so much for the feature! Totally made my day! Hope you and your family will be feeling much better soon and thanks so much for the party! Hope health returns soon! Thanks to the two of you for hosting. I hope you and your family are doing better and that your interview went well. Thank you for the linky. Thank you for hosting. Hope you feel better soon. 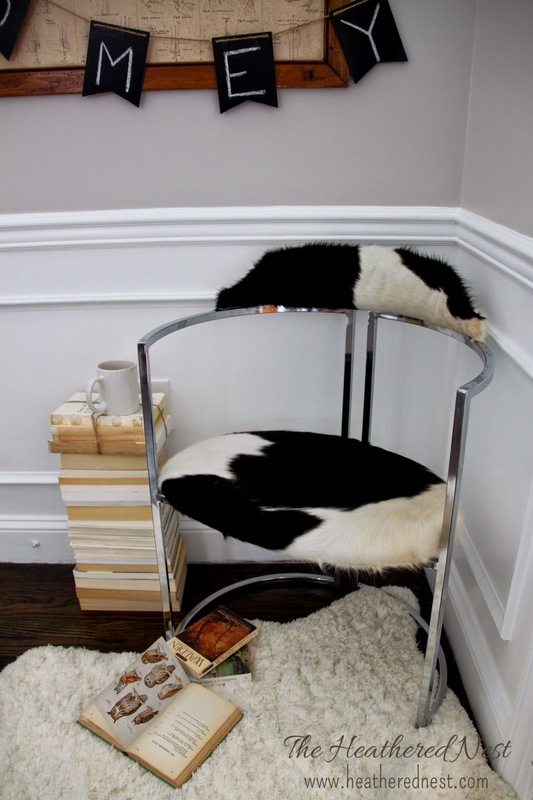 Thanks so much for the kind words about our chrome chair, Kathe. Sorry that you're under the weather...let's just hope that spring is right around the corner!!! Ugh! We've been going thru our share of colds as well! Hope you're on the mend and thanks for hosting a great party! I'm new here and am excited to participate in this lively party for the first time. Thank you for hosting! Thanks for hosting an awesome party. Hope to see you this week at Funtastic Friday.